The Forum For Human Rights Is A non-profit and non- governmental organization managed and run by the students of Aligarh Muslim University under the aegis of the Human Rights Programme of the Department of Political Science A.M.U. Aligarh. The main objective of the Forum For Human Rights is to creat awareness about the importance of Human Rights and Human Rights issues. We invite your comments and suggestions. Our members are more than happy to answer any questions you may have about the organization and how you can join. 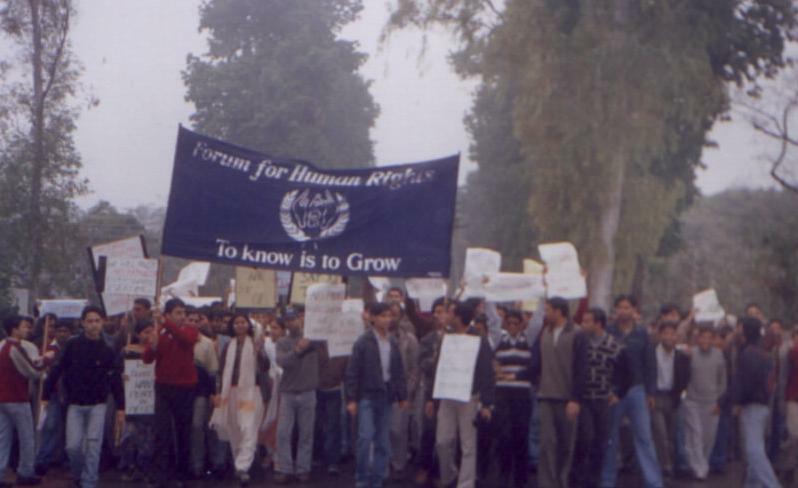 The Forum For Human Rights was established on the 14th of Feb. 2000 under the aegis of the Human Rights Programme, Department of Political Science, A.M.U.,Aligarh.